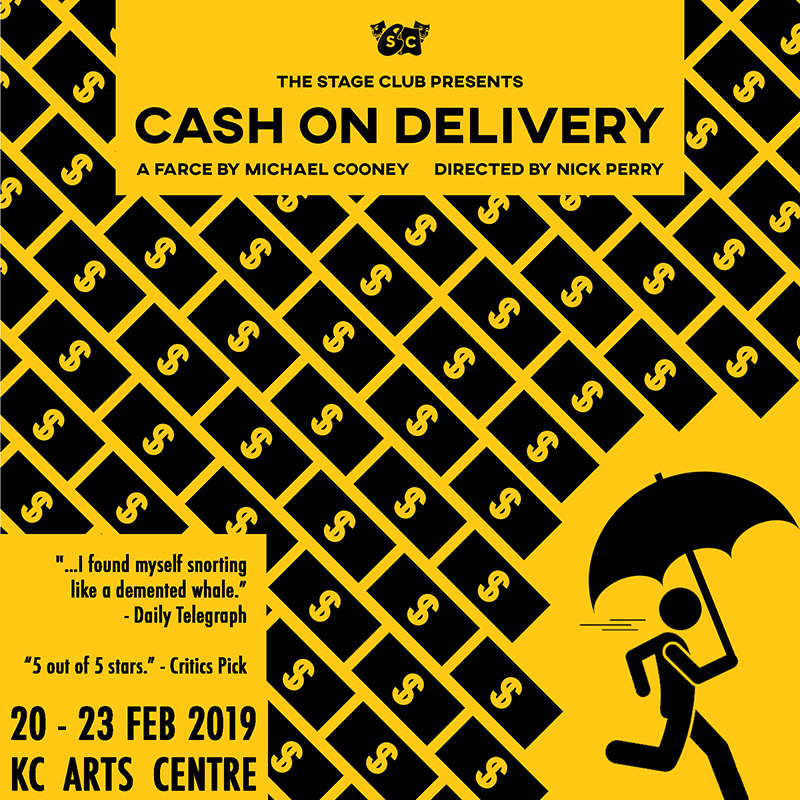 The Stage Club will kick off its Winter 2019 season with a production of celebrated British playwright Michael Cooney's 1996 comedy Cash on Delivery, directed by Artistic Director Nick Perry and produced by Club President Loh An Lin. The production is slated to run from 20th February to 23rd February at KC Arts Centre. Cash on Delivery revolves around the excesses of a welfare state that is out of control, with the central beneficiary, Eric Swan, deluged with money from all sorts of bizarre claims that he has creatively contrived. That is until an inspector from the Department of Health and Social Security arrives, prompting his belated attempts to put things right, while everything begins to rapidly unravel... with catastrophic and hilarious results. Full of cracking one-liners, physical gags, bizarre misunderstandings, and a relentless pace, Cash on Delivery delivers laugh after laugh. Written by Michael Cooney, it is a farce in the classic British tradition (See Brexit!). Void Deck Nickelback - Feed The Machine Tour // First Time Live in Singapore!